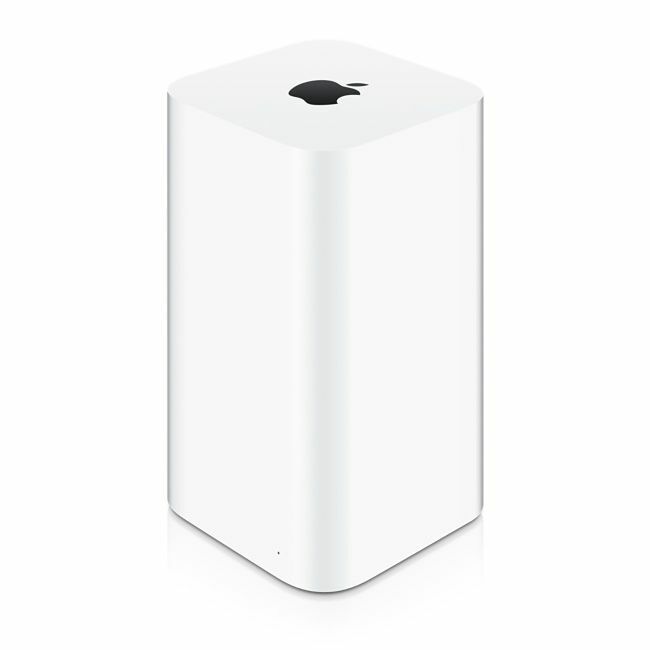 AirPort Time Capsule includes a 2TB or 3TB hard drive that works with Time Machine in OS X to create the perfect no-hassle backup solution. * There are no cables, and you can back up all the Mac computers in your home to a central location — automatically, wirelessly, and in the background. 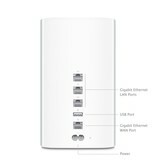 With 802.11ac technology and a powerful beamforming antenna array, AirPort Time Capsule gives you up to 3x faster Wi-Fi and a stronger, clearer signal. ** And because it transmits at both the 2.4GHz and 5GHz frequencies at the same time, your wireless devices will automatically connect to the best available band for the fastest performance possible. * 1TB = 1 trillion bytes; actual formatted capacity less. 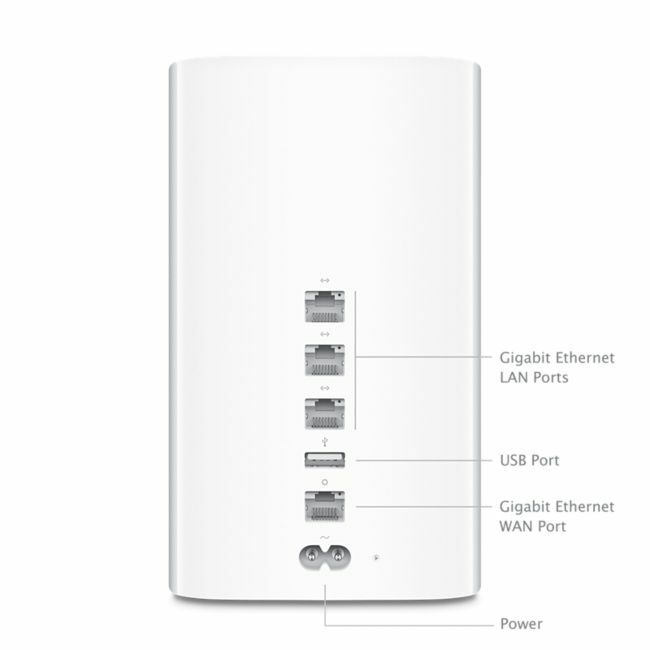 ** AirPort Time Capsule is based on an IEEE 802.11ac draft specification. Performance based on comparison with Apple’s 802.11n products. 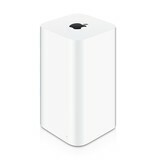 Comparison assumes AirPort Time Capsule network with 802.11ac-enabled computer. Speed and range will be less if an 802.11a/b/g product joins the network. Accessing the wireless network requires a Wi-Fi-enabled device. Actual speed will vary based on range, connection rate, site conditions, size of network and other factors.